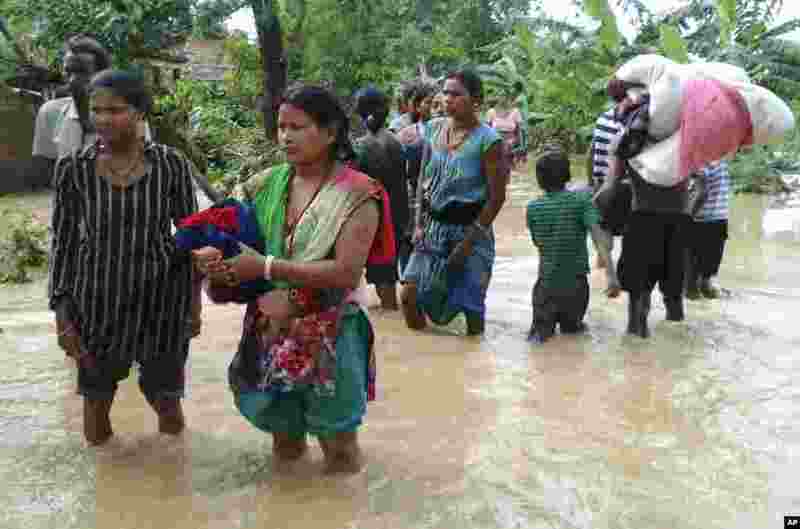 1 Nepalese villagers carry their belongings as they move to safer ground, in Bardia, western Nepal, Aug. 15, 2014. 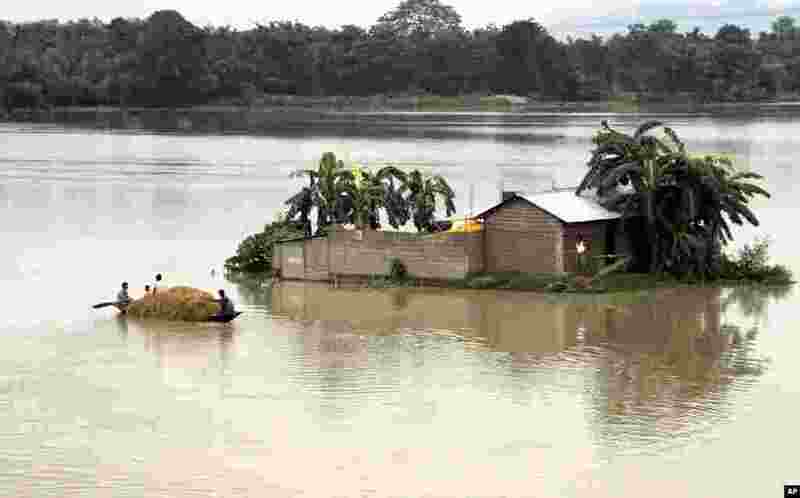 3 A boy rows a makeshift raft with a young child aboard through the flooded areas of the northeastern Assam state, India, Aug. 18, 2014. 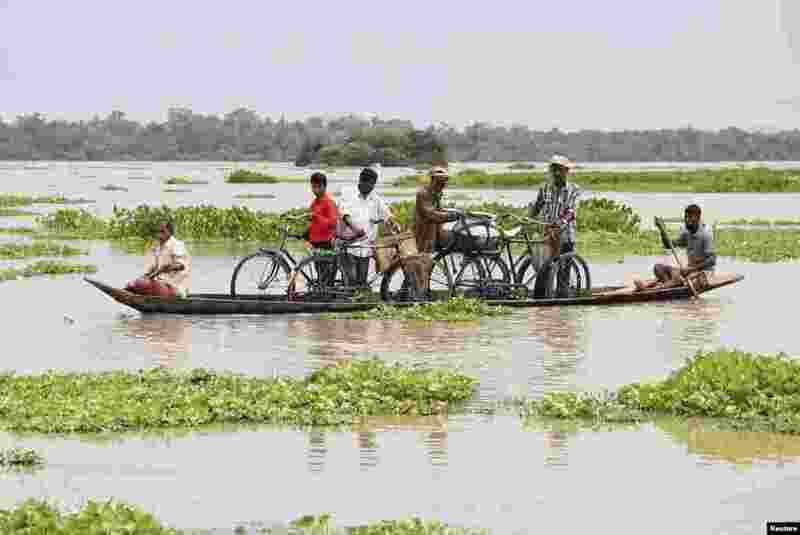 4 Indian villagers row through their flooded village in a small boat, in northeastern Assam state, India, Aug. 18, 2014. 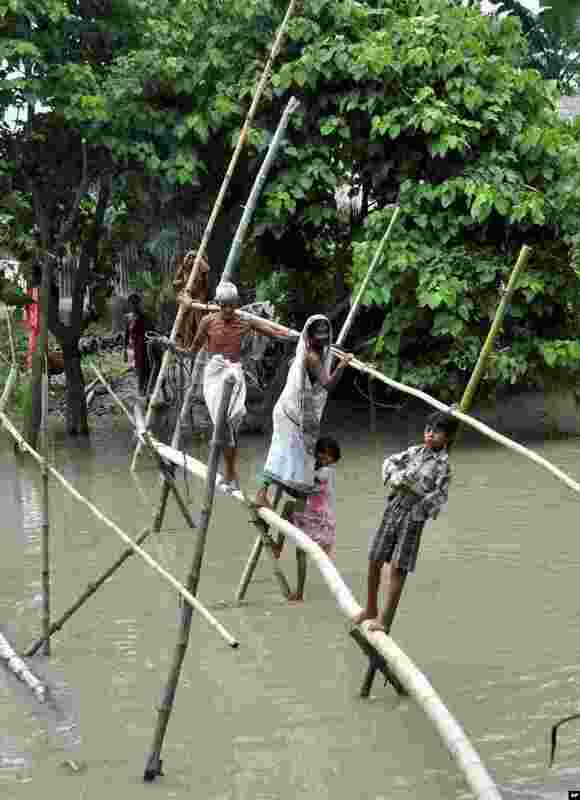 5 Indian villagers use a bamboo structure to move across a flooded village in the northeastern Assam state, India, Aug. 18, 2014.